Traditionally, every week we bring you a list of the top performances of New Zealanders who are currently playing abroad. #1. This week's number one is former international power forward Steven Adams (213-93, college: Pittsburgh, currently plays in NBA). He could not help the Oklahoma City Thunder (45-33) in their last game. Despite Adams' very good performance the Oklahoma City Thunder (45-33) was edged 106-103 on the road by the Dallas Mavericks. He had a double-double by scoring 20 points and getting 15 rebounds. Adams also added 2 blocks in 39 minutes on the court. There are only four games left until the end of the NBA Regular Season. So now every game will be critical. It's Adams' sixth season with the team. He has individually a very good year with high stats. Adams averages: 14.1ppg, 9.5rpg, 1.6apg, 1.6spg in 76 games he played so far. He played for the New Zealand senior national team eight years ago. #2. Second place goes to an experienced U18 international forward Maxwell Darling (196-0, currently plays in Croatia). Darling led KK Vrijednosnice Osijek to a victory against the closely-ranked KK Zabok (9-10) 87-75 in the Croatian Premijer Liga last Sunday. He recorded a double-double by scoring 12 points and getting 13 rebounds. Darling also added 5 assists and 2 blocks. KK Vrijednosnice Osijek (10-9) is placed sixth in the Premijer Liga. There are only three games left until the end of the Regular Season. So now every game is very crucial. Darling's overall stats this season are: 5.1ppg, 3.9rpg, 2FGP: 64.1%(25-39), 3FGP: 33.3% and FT: 60.6%. He is in the roster of the New Zealand U18 national team. #3. The New Zealand player who performed third best last week abroad was an international guard Tai Jack Webster (193-95, college: Nebraska, currently plays in Turkey). Webster was not able to help Galatasaray in their game against Darussafaka (20-7) in the Turkish BSL. He scored only 4 points, grabbed 4 rebounds and dished 3 assists. Galatasaray was badly defeated 80-64 in a derby game by the higher-ranked Darussafaka (#3). They ended the series of three consecutive victories. Webster has relatively good stats this season: 11.2ppg, 3.3rpg, 3.9apg, 2FGP: 48.4%, 3FGP: 39.3% and FT: 67.6%. Ex-Advice First Waikato Pistons player is also a member of the New Zealand senior national team. #4. Forward Isaac Fotu (203-93, college: Hawaii, currently plays in Germany) was not able to secure a victory for ratiopharm Ulm (13-12) in their game against ALBA Berlin (18-5) in the German BBL. He scored 6 points in only 14 minutes. ratiopharm Ulm lost 81-92 in Berlin to the higher-ranked (#4) ALBA. It was ratiopharm Ulm's first loss after three consecutive victories. 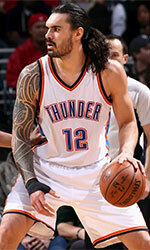 This year Fotu's overall stats are: 8.1ppg and 4.5rpg in 16 games. He has a dual citizenship: Tongan and New Zealand. Fotu is also New Zealand national team player. #5. Former U19 international forward Brayden Inger (203-99, currently plays in Australia) was the major contributor in Buccaneers' victory against the ninth-ranked Suns (2-3) crushing them 117-88 in the Australian State League (second division) on Saturday night. He scored 18 points and added 4 assists. Geraldton Buccaneers (3-1) are placed fourth in SBL group. It was his team's third consecutive victory in a row. But this is still an early stage of the season and everything may happen. This year Inger has very high stats. He averages: 17.0ppg, 7.3rpg, 2.5apg and 1.3spg. Inger used to play for the New Zealand U19 national team two years ago. #6. Power forward Tohi Smith-Milner (206-95, college: Polk State CC, currently plays in Australia) contributed to a Kilsyth Cobras' victory against the 19th-ranked BA CoE (0-3) 93-88 in the Australian State League (second division) in Sunday night's game. He had a double-double by scoring 18 points and getting 13 rebounds. Smith-Milner also added 3 assists and 2 blocks in 32 minutes. Kilsyth Cobras (2-0) are placed first in NBL1 group. But the season just started, so everything may happen. This year Smith-Milner has relatively solid stats: 12.5ppg, 8.5rpg, 2.5apg and 1.5bpg in two games. He is an international player who is currently on the senior New Zealand National Team roster. #7. International center Jack Salt (208-96, currently plays college basketball in the States) managed to help The University of Virginia to win against the Purdue University 80-75 in the NCAA Quarter-Finals last Saturday. Salt scored 5 points and grabbed 8 rebounds. The The University of Virginia has quite an impressive - conference record this season. Salt has been at the team for five years. His total stats this year are: 3.9ppg and 3.9rpg. Salt is also New Zealand national team player. #8. Forward James Paringatai (201-86, currently plays in Australia) is a teammate of previously mentioned Brayden Inger and both played together in the last Australian State League game. 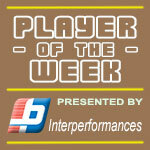 Paringatai helped Buccaneers win their game against the ninth-ranked Suns (2-3) crushing them 117-88. He scored 5 points in 8 minutes. This year Paringatai's total stats are: 4.0ppg and 2.3rpg in four games. He used to play for the New Zealand national team back in 2013. #9. U18 international small forward Maxim Stephens (200-0, currently plays in Germany) helped Kronberg win their game against the eighth-ranked Tuebingen II (10-15) 75-69 in the German Regionalliga (fourth division) in Saturday night's game. Stephens recorded a double-double by scoring 12 points and getting 16 rebounds. MTV Kronberg (8-7) is placed fifth in South-West group. His team will play only one more game in the Regular Season. And now that game is quite important. Stephens has averaged so far 6.9ppg and 5.5rpg. He is also in the roster of the New Zealand U18 national team. #10. Guard Flynn Cameron (190-0, currently studies in the States) helped De Paul University win their game against the University of South Florida (8-10) 100-96 in the BEC in Wednesday night's game. He scored 9 points in 20 minutes. The De Paul University has quite an impressive - record this season. It's Cameron's first year with the team. Cameron has averaged so far 2.3ppg and 1.3rpg in three games. He is a former U19 international player as two years ago he still played for the New Zealand national team. #1. Experienced Aron Baynes (208-C-86, college: WSU, currently plays in NBA) led Boston Celtics to a 2-point victory against the Indiana Pacers (47-32) 114-112 in the NBA on Friday night. Baynes had a double-double by scoring 13 points and getting the same number of rebounds in 33 minutes. The Boston Celtics have 47-32 record this season. There are only three games left until the end of the NBA Regular Season. So now every game will be critical. This year Baynes' overall stats are: 5.5ppg, 4.6rpg and 1.1apg in 49 games he played so far. He has a dual citizenship: Australian and New Zealand. #2. Thomas Giles (180-G-88, currently plays in Australia) managed to help Northern Suburbs Bears in a victory against the third-ranked Bankstown Bruins (3-1) 87-81 in the Australian State League (second division) last Sunday. Giles scored only 3 points in 3 minutes on the court. It was the game of the round between two top 3 ranked teams in group WARATAH. Northern Suburbs Bears (4-1) are placed second. This year Giles averages just 2.4ppg in five games. #3. Michael Gardner (185-G, currently plays in Australia) contributed to a 3-point Giants' victory against the tenth-ranked Senators (1-2) 88-85 in the Australian State League (second division) on Saturday night. He scored only 3 points and grabbed 4 rebounds. Goldfields Giants (3-1) are placed fifth in SBL group. It was his team's third consecutive victory in a row. But the season is still in it's first stage and everything can happen. Gardner has averaged so far 2.3ppg and 1.3rpg.